A decent two-word parser adventure with static graphics, along the same lines as Sierra's Hi-Res Adventure series. I've received numerous requests over the years for this one. It's set on an island, and the package contains a neat treasure map. Aside from the hideous parser, which can get the game into an unsolvable state in a few cases, it's a fun little game. 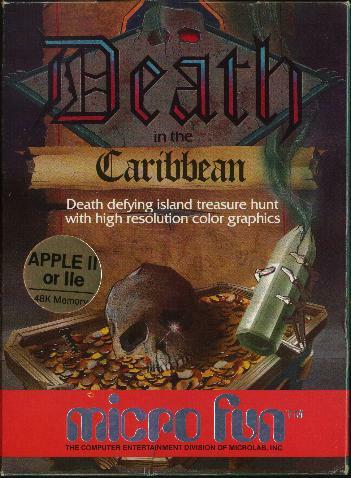 By Micro-Fun, the gaming division of Micro-Lab, which also published cartridge games in the early 1980s.